i-piggy.com is using crowd funding to create a radical new service to help Independent Retailers and SMEs attract Customers into Town Centres. Spearheading integration of mobile & cloud technologies for Incentives and new Communications Channel (NODs), even the smallest business will be able to harness the web and instant mobile marketing. Herefordshire based i-piggy.com is using the Seedrs crowd funding platform for investment capital to launch a radical new service to help Independent Retailers and Small Businesses attract more Customers back into Town Centres. By combining leading edge technologies with proven methods, i-piggy spearheads integration of mobile and cloud technologies to create a unique combination of Customer Rewards and a new Communications channel called NODs (News, Offers & Deals). 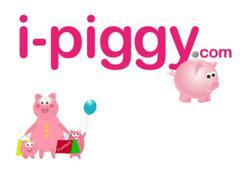 “i-piggy's service includes town loyalty features to encourage customers to shop locally and support their communities. i-piggy town schemes will be run locally and have facilities to coordinate promotions across town, using methods adapted from models so successfully developed by the major supermarkets. We plan to sponsor up to three pilot towns before rolling out the service nationally. Any town wishing to be selected for this initiative, is invited to make contact via the i-piggy.com website and prospective investors can also find details on the i-piggy website or visit http://www.seedrs.com for the business proposal and video".